Divergent is a dystopian book and is one of my favorite ones. It is about a society that’s divided into five factions: dauntless, abnegation, candor, amity and erudite. Each faction stands for an ideal: dauntless are the brave, abnegation the selfless, candor the truthful, amity the kind and erudite the intelligent. In the age of sixteen, every teenager has to do an aptitude test, which put them in different simulations that will lead to one single result, the faction they have more aptitude for. Based on that result, they must choose one of the factions and never change again, or they will become factionless. 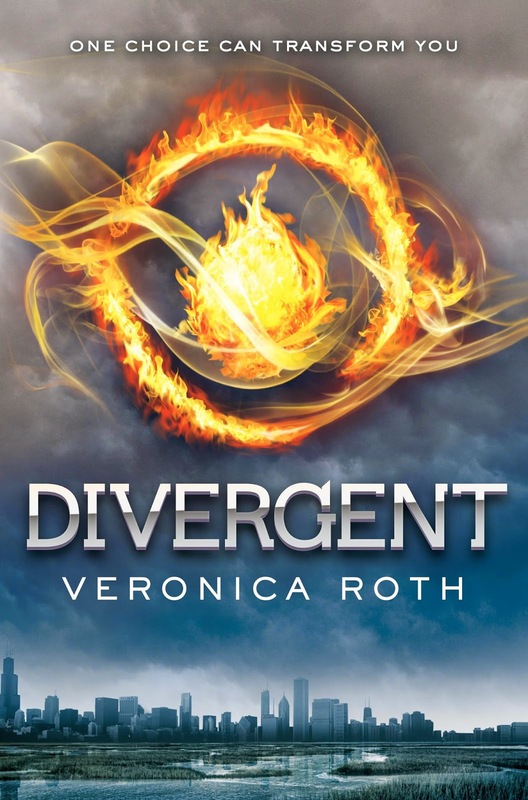 Divergent follows a young woman, Tris, who can not be categorized in one single faction, which makes her Divergent and a threat to the dividing system. This system was created to separate the different ways of thinking in order to maintain peace. Since Tris is divergent, she has different ways of thinking and that scares Jeanine Matthews (the leader of Erudite and the one in charge of the city faction system), so Tris has to do everything to stay alive, because if anyone finds out her secret, she will be killed due to her uncontrollable way of thinking. Unaware of the danger she’s in, Tris chose Dauntless, the brave. There is where she meets Four, her instructor. Tris is very curious about him, for his strong presence and personality, but she sees something else, something deeper than that. Four is a mysterious character, with a very dark past that no one knows about and no one really know him, but Tris tries to know him better. Then a problem emerges, dauntless superiors allies with erudite ones to create an army formed by dauntless members to take down abnegation. This dauntless members are not aware of what they’re doing because they were injected with a serum that makes them do whatever they’re ordered to, unconsciously. But there is one problem, divergents are not affected by that serum, and Tris is divergent so she has to play along and pretend she is a normal person during the simulation. Whilst that, she and Four plan to counter strike, stop the simulation and destroy the ones who are behind the whole thing. Will she be discovered? Will they succeed? Reading this book completely changed my life because before reading it, I didn’t enjoy reading whatsoever, but this book made me more aware of life, it made me realize I really enjoy to read and I’ve been reading more ever since. It took me to a different place, a place I can relate myself with a lot to be honest. I think I probably loved this book so much because I related myself a lot with Tris, I think we share the same doubts, insecurities and she is a brave woman who wants to conquer her fears instead of letting them dominate her and I admire that qualities in a person. I thoroughly recommend this book to every age range since it is an adventure/action/romance book and it is a very easy reading. Favorite quote: “Becoming fearless isn't the point. It's impossible. It's about learning to control your fear and how to be free from it”.